From every surface and edge to the refined and driver-centric cockpit, the 2016 Chevrolet Camaro Is optimized for performance driving. In nature, you’ll always find someone or something at the top of the food chain. It’s the same for sports cars. Whether it’s on the race track or the road, the 2016 Chevrolet Camaro SS is the leader of the pack. Evolution is about the quest for perfection, and getting better with every iteration to become a dominant force of nature. Introducing the next generation icon evolved from a line of predecessors: the 2016 Chevrolet Camaro. 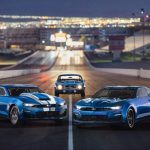 Chevrolet engineers built the next generation of Camaro not just to survive, but to thrive in any environment. With key traits of speed, power, and intelligence, meet the 2016 Chevrolet Camaro. Evolution is never without purpose. 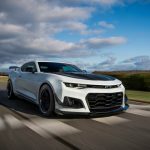 From an all-new architecture to a leaner suspension, the 2016 Chevrolet Camaro chassis is newly designed with the sole purpose of enhancing the overall drive experience. 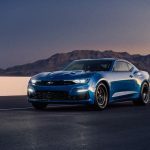 Instantly tailor the look, sound, and feel of the Camaro driving experience using Driver Mode Selector. 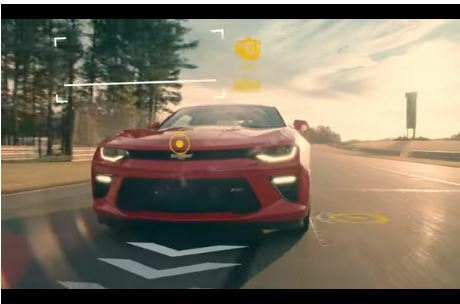 Cruising in the all-new 2016 Camaro isn’t just an experience, it’ a symphony for the senses.